It’s a fun tradition to fill a child’s Easter basket with jelly beans and chocolate eggs. But those sticky, sugary treats can lead to cavities. Substituting out sweets for other snacks, toys and games can still make hunting for eggs and opening an Easter basket fun and helps keep teeth healthy. Here are some alternative ideas for filling Easter baskets this year. Not only will small toys not cause any cavities on teeth, they also entertain kids much longer than candy will! 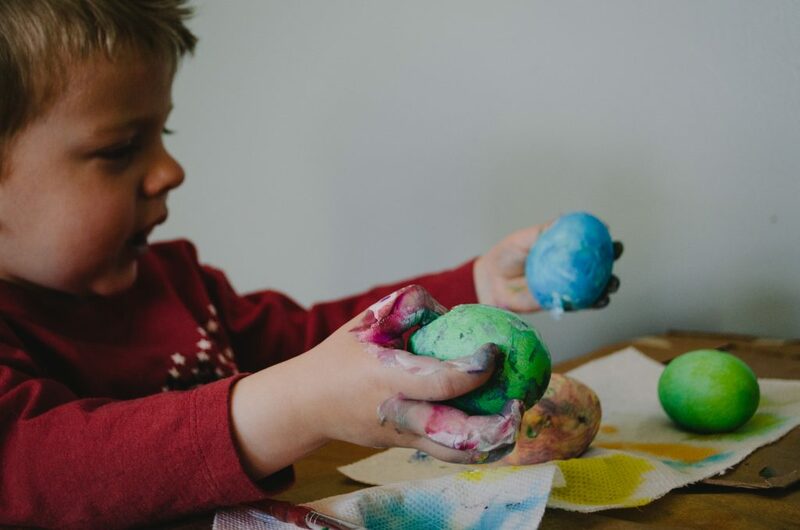 Bouncy balls, toy figurines, finger puppets, mini bottles of bubbles, keychains, and glow sticks are all fun toys for kids to find in their Easter basket. In addition to toys, stickers, temporary tattoos, crayons, art supplies, and books are all great gifts to put in baskets or eggs. If you still want to include some snacks in your kid’s Easter eggs or Easter basket, try trail mix, cereal, crackers, clementine oranges, mints or gum for some non-candy options. If your kids do indulge in some chocolate bunnies or jelly beans this Easter, there are a few ways to make sure that they still take care of their teeth. First of all, have kids pick one or two treats a day, and make sure that they regularly brush and floss their teeth. With some preventative dental care practices and limiting sugar intake, Easter doesn’t have to be another sugar-loaded holiday this year. For questions about dentistry for kids or to make an appointment for the whole family, contact the family dentists at Dakota Dental. Dakota Dental also offers plenty of resources about preventative dental care for kids too. Talk to Dakota Dental today!